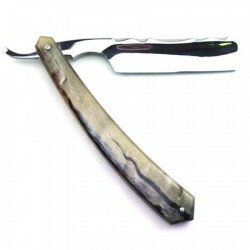 This 6/8 rams horn razor from Thiers Issard is hot forged using a historic template but is manufactured from modern C135 carbon steel. 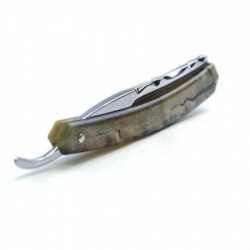 This model features the very attractive festonne spine design complemented by luxury rams horn scales to create a most attractive razor. This 6/8 rams horn razor from Thiers Issard is hot forged using a historic template but is manufactured from modern C135 carbon steel. 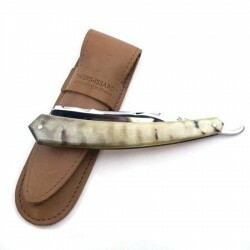 This model features the very attractive festonne spine design complemented by luxury rams horn scales to create a most attractive razor. 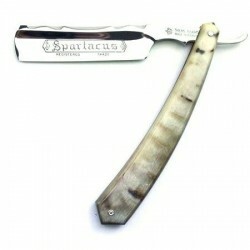 The blade has a mirror finish to both sides, bears the Spartacus marking in black and has jimping to the lower side of the tang. 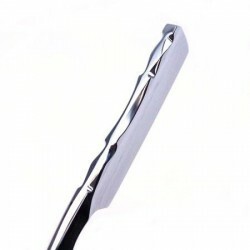 The 6/8 razors with festonne spine are a large razor with more weight to them than some other 6/8 razors from Thiers-Issard. 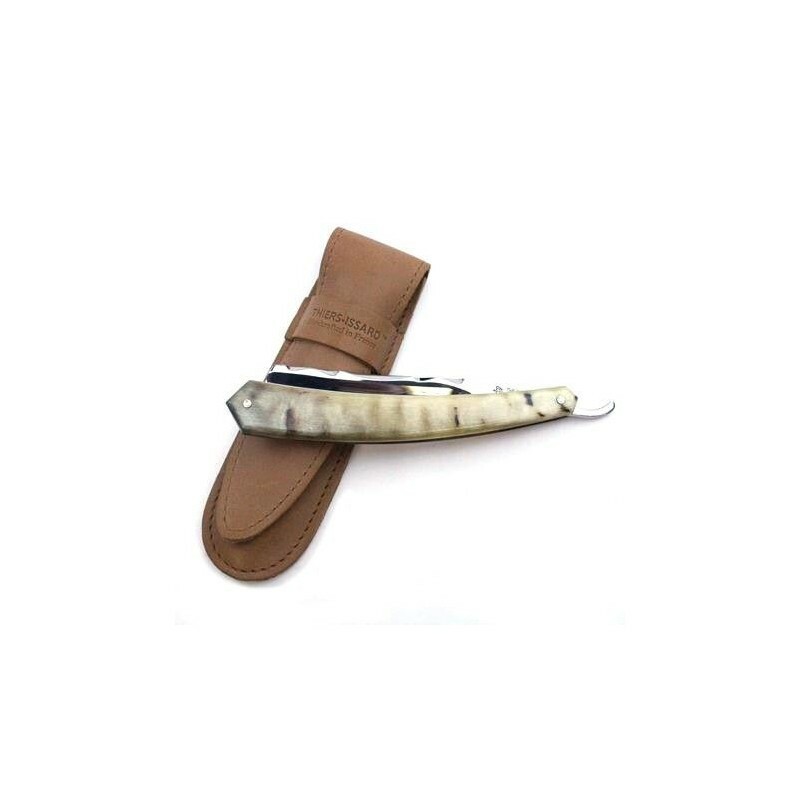 Supplied in a TI Baragnia leather wallet (colour may vary). N.B. 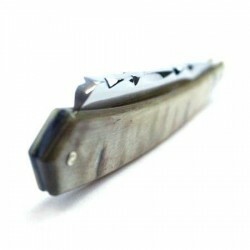 As with all natural materials the colouring and patterning will vary from one razor to another. Rams horn can vary from translucent honey colours through to dark greys and blacks.